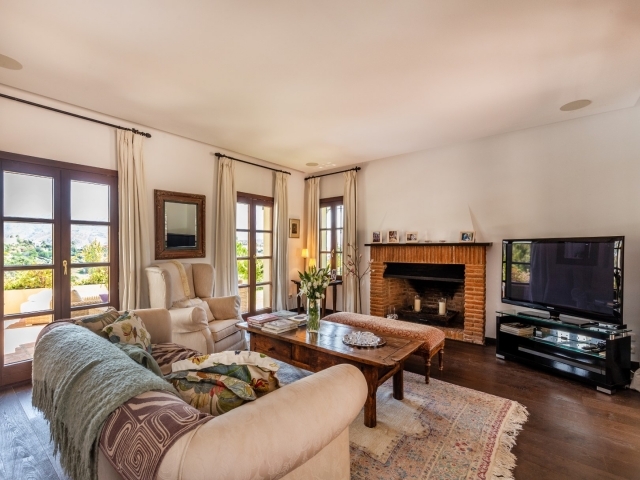 Charming family villa in an exclusive gated complex with 24 hour security, fabulous views and just a five to ten minute drive to Puerto Banus. 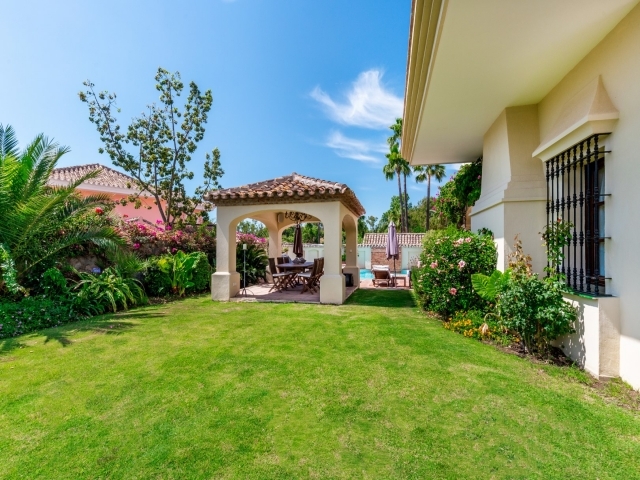 El Herrojo Alto is a tranquil and picturesque area with proximity to a range of renowned golf courses. 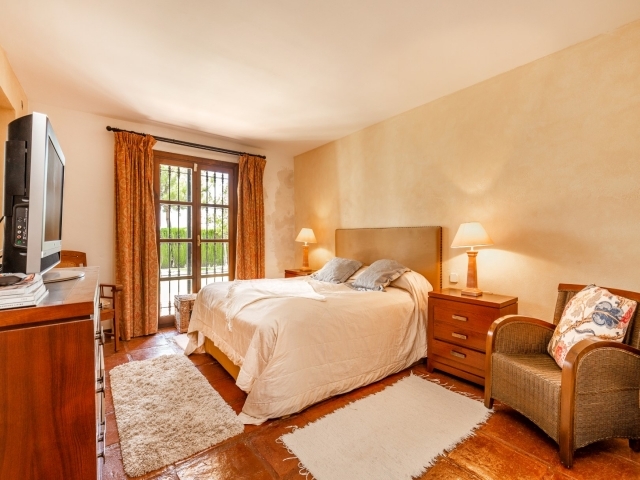 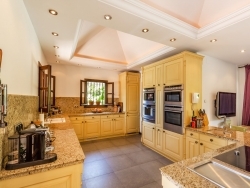 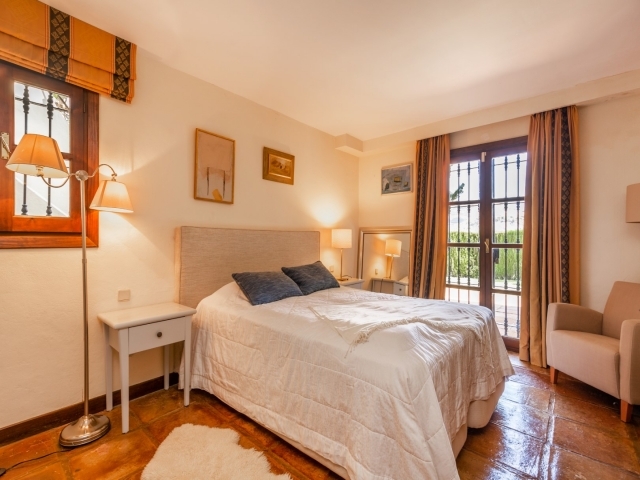 This andalusian-style property offers spacious and versatile accommodation over four floors. The entrance level comprises a hallway, living room with fireplace feature, open-plan kitchen fully fitted with high quality appliances, dining area, covered porch, utility room and guest toilet. 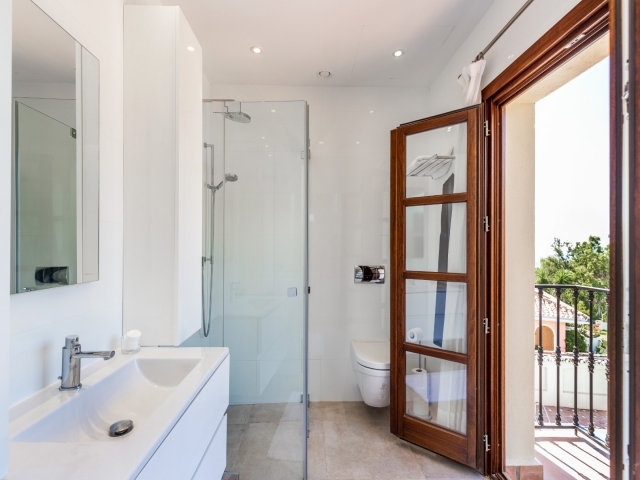 At first floor level there are two en-suite bedrooms, one with a dressing room and the other which is currently being used as a study. 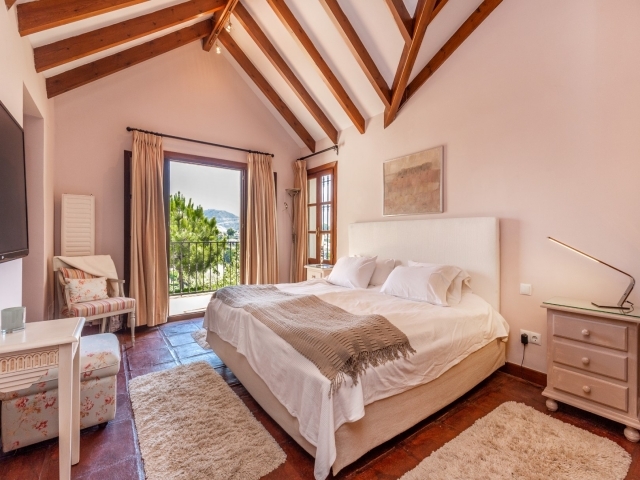 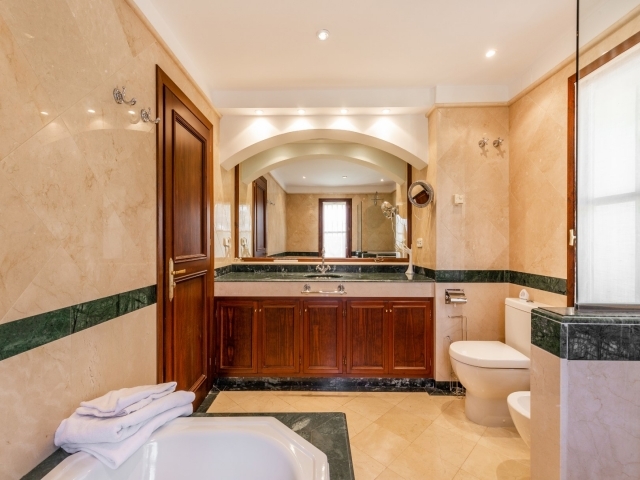 Up a few stairs to the second floor and you will find the impressive master suite complete with "his" and "hers" walk-in wardrobes and bathrooms, as well as a large balcony; the perfect spot to sit and look out across the local fairways, mountains and sea. 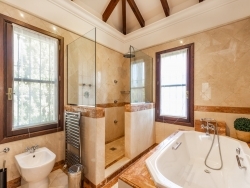 The basement level comprises a further two bedrooms, one of which is en-suite and the other has a separate bathroom. 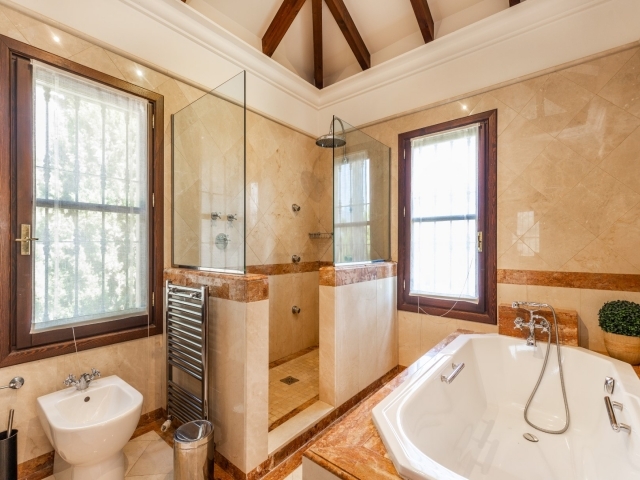 Southeast facing, the villa benefits from sun throughout the day. Externally there is a delightful mature garden and tiled terrace with private swimming pool and gazebo - perfect for dining and entertaining outdoors. 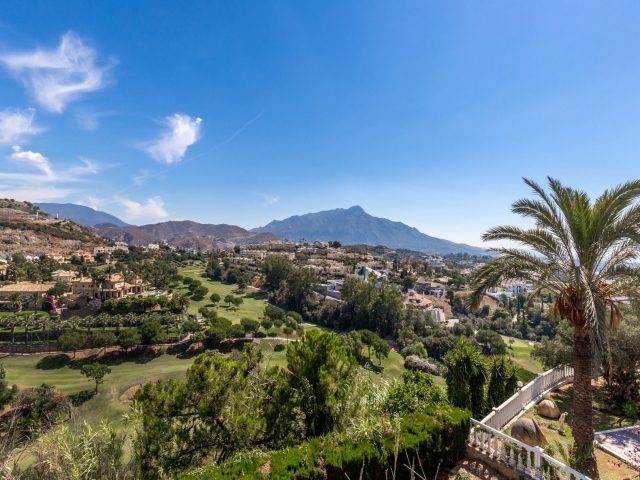 Stunning golf and mountain views can be enjoyed from the garden and there is a car port for one car. 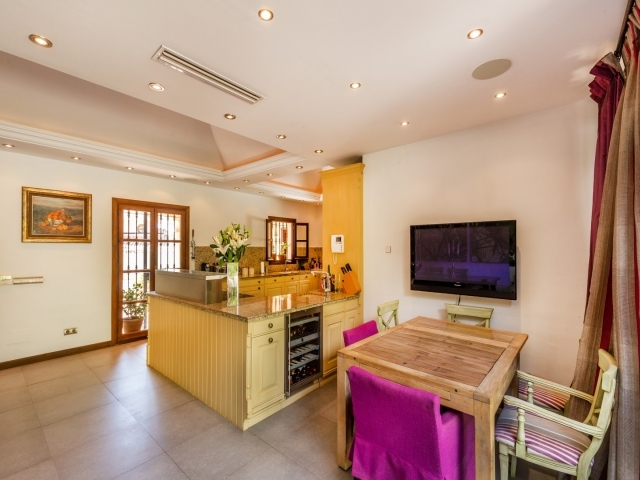 Viewings are highly recommended to fully appreciate this unique family home which is set in an extremely desirable location on the Costa del Sol.